We have firsthand experience and a working knowledge of the dynamics and considerations unique to actions arising in rural Alaska, as well as day to day experience working in the technology driven world of modern, urban courts. Precisely because of this experience we are frequently retained as local counsel for out-of-state firms. At ZW, we are a general practice law firm. We specialize in many areas of the law including but not limited to criminal defense, family law, contract and commercial law, real estate law, landlord/tenant disputes, and personal injury. The firm has also established itself as successful practitioners in workers' compensation defense. Our work throughout the state and experience with a culturally diverse client base has led to the development of valuable knowledge of laws addressing Native lands, tribes, and individuals, including the interplay of the Indian Self-Determination and Education Act, the Federal Tort Claims Act, sovereignty, and various Native land and Native interest legislation. At ZW we strive to provide the best possible representation for you, whatever your legal needs might be. 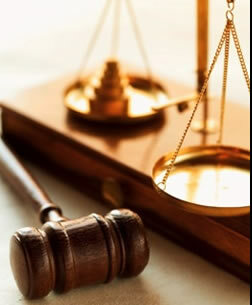 Our goal is not only to provide speedy, just, and efficient legal services to you, but to do so with courtesy, respect, and the highest ethical standards in the profession.